Technology has come a log way in helping us determine the best course for home security. The best features are now available right in out house, and we don’t need to install heavy or bulky surveillance systems to ensure that our homes are secure. Most laptops nowadays come with an inbuilt webcam that can be configured with a compatible software to automatically record videos and also perform custom actions when motion is detected. This is one of the best surveillance software available in the market. Its usability and system resources are easy to manage and handle. It comes with the correct balance of features to make it easy to use and configure. Camera Viewer Pro does not use more that 1% of the CPU during its running time. The only downside for this software is that it is no longer being updated since development has stopped. But it works perfectly with all OS versions that released before 2014. This is a free webcam surveillance software that can record from both a webcam and from a microphone, available on the computer. Features include motion detection, broadcast, schedule email and has a sound alert system. Sentry Vision can remote control the software. You can issue commands to a listening Gmail account. You can also hide the program so that other users don’t know that the webcam is being monitored. There is a password protect function too that can be activated. This is another free video surveillance system. 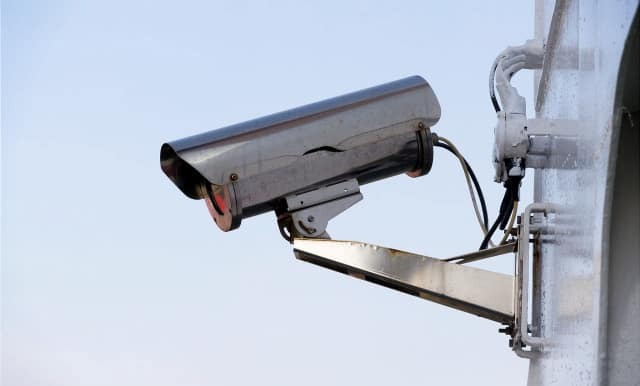 It has all the necessary features to turn your computer into a CCTV system, and you can specify a range of time per frame per day for motion detection recording. It is rare for a surveillance software to use SWF format to save record, but ContaCam does it. You can change these settings however in the Movement Detection tab in ‘Device Settings’. This is open source camera security software. iSpy comes with a large list of features that include audio monitoring – something rarely found in video surveillance. There are many settings where iSpy can be used because of its comprehensive set of features – baby monitoring, monitoring pets or nannies, etc. There are som features like remote access streaming and email alerts that are available only for paid users. You are often also required to sign up for a free iSpy account to play your recordings. It doesn’t matter whether you have an IP camera or an USB camera; this software can be used for both. Offering time scheduling and motion detection, Cam Wizard comes with a host of features to give you the best surveillance options to choose from. You can automatically send emails and FTP for uploading your recordings. It makes use of a dedicated motion detection algorithm so that the slightest movements are detected and even false, triggers can be recognized. This IP camera software gives you access to different types of cameras and even gives users the capability of remote control functions from anywhere in the world. Other features include motion detection and patrolling, scheduling alarms, image enhancement and multi-monitor support. It includes some sophisticated features like the new architecture and graphical user interface for better performance along with multi-camera playback for better monitoring. The software works not only on computers but also with smartphones and offers a lot of support and relevant information for their products. It is an enterprise grade IP camera recording software. It provides full functionality and is quite abundantly sufficient for non-commercial use – that is for use at home. The software is slightly tricky to configure but has an online user manual to help you along. Although it offers some resistance in the beginning, once you set up, it works smoothly and offers the features that other software provides. The interface looks rather classic and is easy enough o navigate, though. You get the remote sensing function and can load all your recording to your email account to view later. Here you have an intelligent video software. Sighthound Video is aimed at being able to differentiate between humans and objects on the screen rather than simply detecting motion. The actions can easily be configured from the flexible rules editor, and it comes with the remote access options you can turn off or turn on your computer and view your recording. The interface is user-friendly, but it runs multiple processes at once that take up a lot of memory. There is a free version of the software available for limited low-resolution recordings. This software comes with a basic motion detection module that can automatically record both video and audio when motion is detected. You can set the motion sensitivity and maximum recording duration, timestamp your recorded videos and schedule your recording audio with motion capture. It offers live monitoring and remote control functions via the network. It also allows you to schedule your recording according to set times so that it’s not running all the time. A very well developed website, Foscam has highly advanced services and an excellent array of supportive cameras that come with the software. The manuals and installation guides along with the software tools and information about the IP camera view of Foscam are all available for you to access at any time. It is possible to have remote access that provides you with the opportunity to start the recording from anywhere you might be. You can also do some live broadcasts and offers 24/7 monitoring. BlueIris is a video security software which can perform motion detection, audio detection, or continuous capture and send you alerts via loudspeaker, e-mail, or your phone. You can use up to 64 cameras, capture JPEG screenshots, or capture movies in an AVI format. It does need a fair bit of power to run but it is one of the best in the market. You'll be emailed your license key immediately upon purchase and you can begin to use it and not have to wait. It has recently been updated and introduced a completely new interface for non-IE browsers.